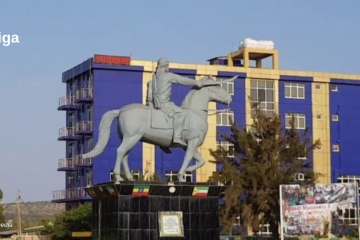 Bekele Gerba who at the time of his arrest was the deputy chairman of an opposition political party, Oromo Federalist Democratic Movement (OFDM) was released from an Ethiopian jail yesterday, March 31st. Bekele Gerba, a former lecturer at the Addis Abeba University (AAU), is largely known as one of Ethiopia’s prisoners of conscience. The father of four is now reunited with his family, according to relatives and friends.